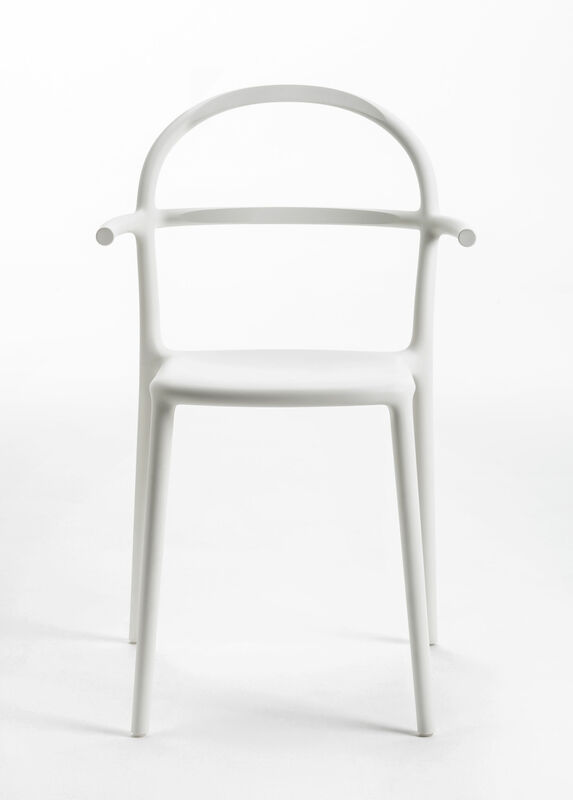 ‘’GENERIC’’: A collection of universal seats according to Philippe Starck. 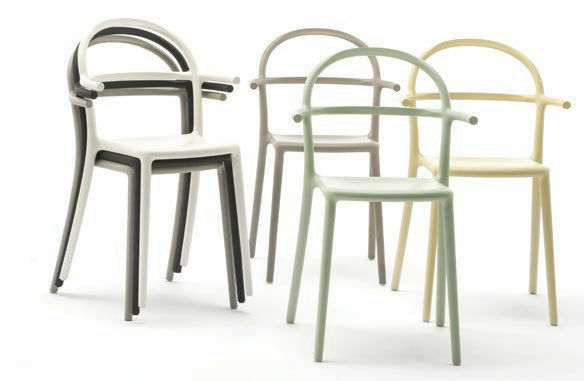 The brilliant French designer was inspired by community chairs. 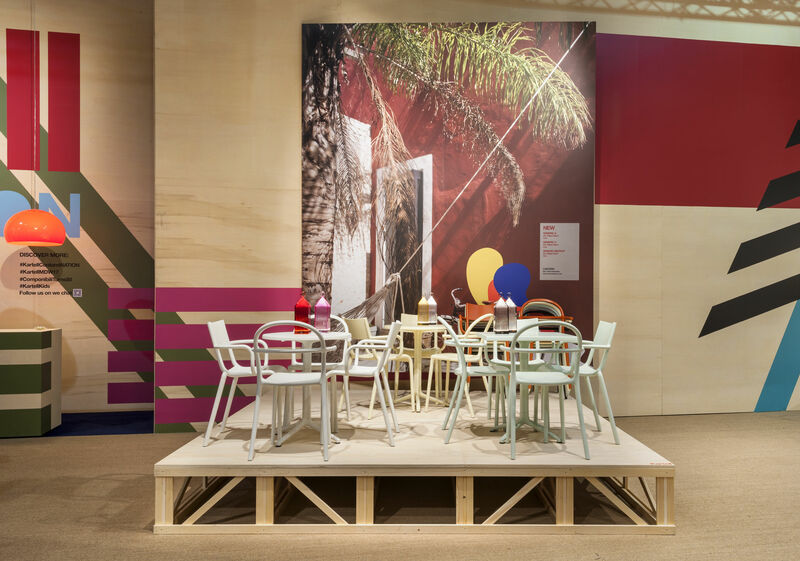 The aim was to identify the "generic" character of seats traditionally used in collective spaces, to offer new and interesting added value, both for homes and local communities. The clear lines are as sleek as possible, to get to the very essence of these seats that are part of the collective memory. 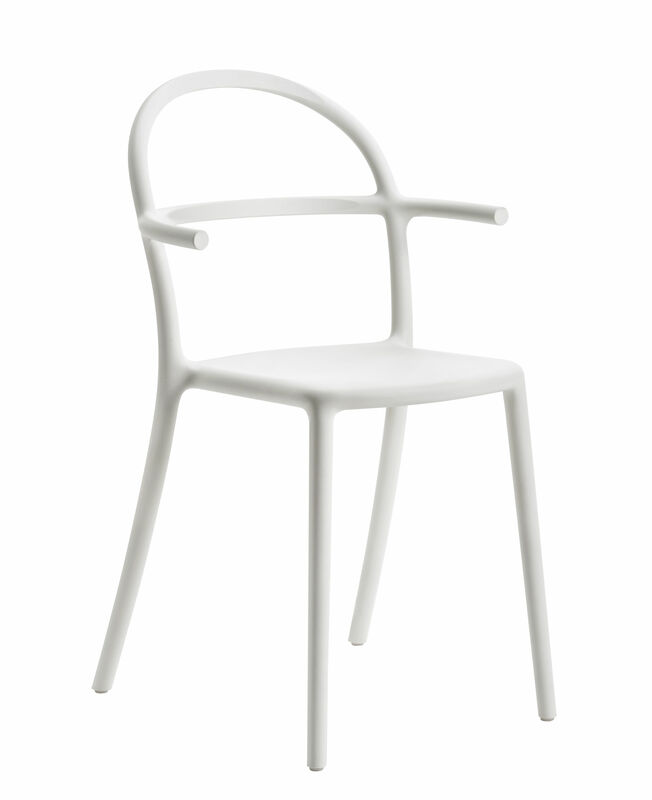 The GENERIC C (C for Café) chair, is the backbone , core and very essence of bistro chairs found in restaurants. It has this deeply elegant mystery. The Generic armchair is discreet and humble, and at the same time is profoundly elegant. The curved lines have been re-worked delicately with extremely sleek lines. The soft touch matte finish is refined. 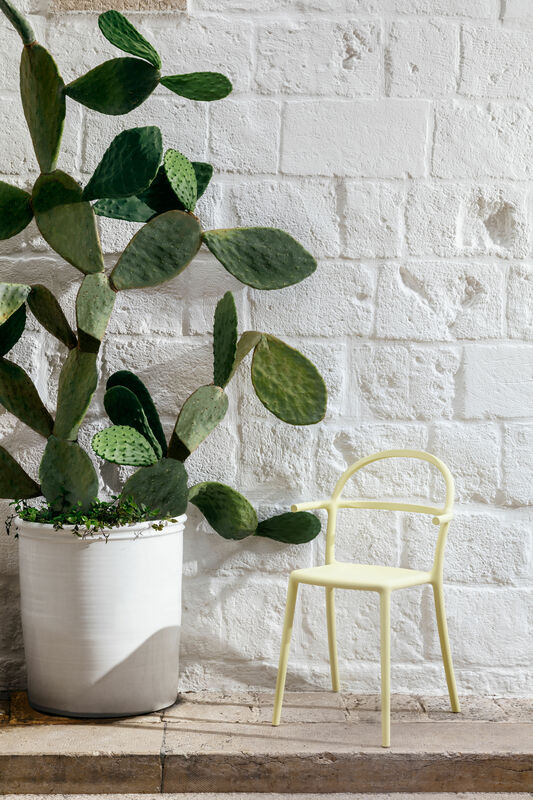 Stackable, light, durable, can be used indoor and outdoors, the Generic armchair can be used in many contexts, in homes and business. 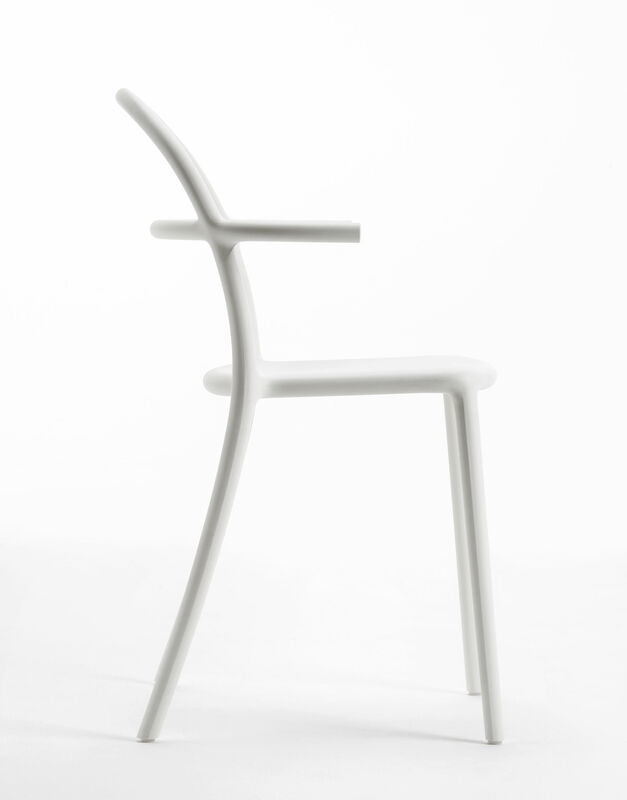 Philippe Starck, on Generic chairs: "The Generic chairs are explorations: the desire to open up, to clean and reach the heart of the matter to identify and extract the minimum, the minimum that deserves to exist and from which emanates true beauty. 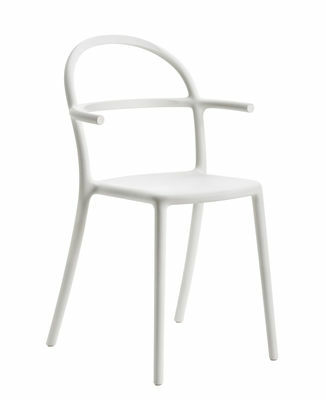 The GENERIC chairs are square roots, minimums, structurally timeless and elegant because they are indivisible. This collection is attached to exploring the mystery at the heart of everything, to reveal the generic."